Borgo del Tiglio is one of the world’s greatest estates. Proprietor Nicola Manferrari crafts brilliant, chiseled whites built on saline-infused minerality and energy that capture the essence of some of Friuli’s most compelling terroirs. I still remember it. I had just returned to Italy after two weeks in Burgundy during which I visited just about every top domaine and tasted through nearly all of the rarest and most coveted whites. My wife and I went out to dinner and had a bottle of Borgo del Tiglio’s 2009 Ronco della Chiesa. That’s when I knew precisely where Borgo del Tiglio sits in the hierarchy of iconic white wine estates. Borgo del Tiglio is located in Cormòns, right in the heart of the Friulian Collio. Like so many small, artisan wineries, the property is essentially a combination of home, farm and winery. The old-vine Friulano parcel that informs the flagship Ronco della Chiesa sits just behind the main building. Nicola Manferrari is one of Friuli’s original trailblazers. Along with Mario Schiopetto, Josko Gravner and Silvio Jermann, Manferrari was just one of a handful of producers in the 1980s who had the vision and courage to follow his convictions. Winemakers like Enzo Pontoni and Edi Kante, each in their own way, followed that same spirit. Still, Borgo del Tiglio remains vastly overlooked considering the quality of what goes into the bottle. 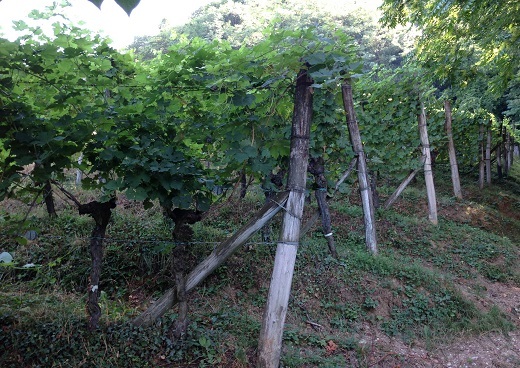 So much of what is made in Friuli today is essentially commercial, large-production wine with little personality. In that context, Borgo del Tiglio is a towering presence of true excellence and a shining beacon of what is possible in one of Italy’s greatest but often most underachieving appellations. Manferrari came to winemaking by accident. Originally trained as a pharmacist, Manferrari took over the family’s estate upon the unexpected passing of his father in 1981. In 1982, Manferrari bottled his own wine for the first time. Prior to that, the wines were sold in bulk. It was rough going in the early days. The family had little money and the tools were crude, at best. Yet the wines that have survived from this period are a poignant reminder that what matters most is the quality of the vineyards. Initially, Borgo del Tiglio mostly made Friulano (then known as Tocai) and some Malvasia. Friulano is a grape low in acidity. According to Manferarri, the prevailing Germanic winemaking school of the early 1980s encouraged growers to pick Friulano very early to maintain acidity, an approach that resulted in strident, green wines. Even today, thirty years later, that school of thought exists in the Collio, especially with Sauvignon. Manferrari dreamt of a different kind of whites; world-class wines that could age. But he also recognized that Friulano had inherent limitations. Friulano needed to be picked ripe to have fully developed flavors, but if picked too ripe, the wines lacked acidity. Manferrari thought adding Sauvignon and Riesling to Friulano would compensate for many of Friulano’s shortcomings, giving birth to the wine today known as Studio di Bianco. In the early years, and up until 2003, the wines were allowed to undergo a gentle oxidation in winemaking, something that is also seen in Burgundy. Between 2003 and 2006 the musts were protected a little bit more, something Manferrari believes ultimately resulted in less age-worthiness. From 2007, the estate has gone back to making the wines as they were up until 2003. 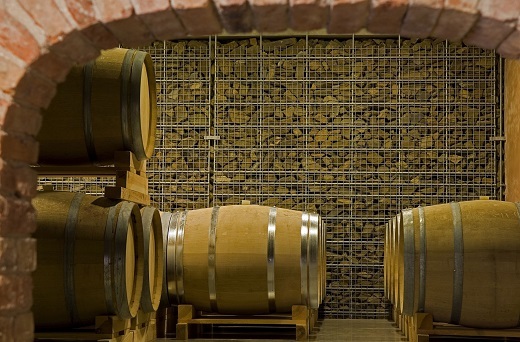 All of the Borgo del Tiglio whites are fermented in barrel. The wines from the 1990s are at times marked by oak, but today that seems to be less of an issue. In general, malolactic fermentations are favored in cool years to fatten the wines, but less sought in warmer vintages, when the wines have plenty of richness from the start. Borgo del Tiglio makes two ranges; the white labels are considered the entry and mid-tier wines, while the dark green label is reserved for the Selezioni, or the top selections, bottlings that vary from year to year. In addition to the wines in this article, I am also a huge fan of the Sauvignons, the Selezione in particular. This tasting covers Borgo del Tiglio’s dual flagships, Ronco della Chiesa and Studio di Bianco. 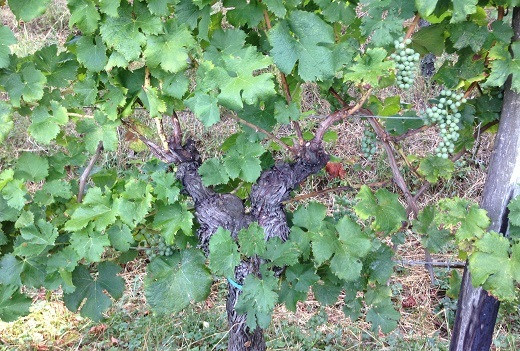 Ronco della Chiesa emerges from a parcel of old-vine Tocai planted behind the winery. Malolactic fermentation is generally avoided in order to maintain aromatics, acidity and freshness. Studio di Bianco is a blend of Friulano/Sauvignon and Friulano/Riesling co-fermentations from the estate’s hillside vineyards in Ruttars, right on the Slovenian border. Generally, the total blend has been about 50% Friulano, 25% Sauvignon and 25% Riesling, although in recent years the Friulano and Riesling have come down and the Sauvignon has gone up, reflecting the introduction of new Sauvignon plantings. Generally, the Friulano/Sauvignon cuvees don’t undergo malolactic fermentation, while the Tocai/Friulano parcels do. Overall, Studio di Bianco ages more gracefully than Ronco della Chiesa, but in top vintages, both wines are striking. Readers who want to experience the very best in white wine owe it to themselves to check out Borgo del Tiglio. The 2011 Ronco della Chiesa is a remarkable wine in one of the most drastically uneven vintages the Friulian Collio has ever seen. White flowers, apples and pears flesh out in a wine with considerable near-term appeal. Rich, soft and inviting, the 2011 will drink well right out of the gate. The intense, mineral notes typical of this wine are missing in 2011, but the expressiveness and generosity of the fruit make up for that. This is easily one of the very best 2011 whites I have tasted from the Collio. 94/Drinking window: 2013-2016. Borgo del Tiglio's 2010 Ronco della Chiesa shows what this hillside site in Cormons can do in cooler vintages. Still bright, focused and intensely saline, the 2010 bursts from the glass with grapefruit, lime, mint and crushed rocks. The 2010 will probably be appreciated most by readers who like tense, vibrant whites. Next to some of the other vintages, the 2010 lacks a little mid-palate pliancy, but it is quite beautiful just the same. I especially like the way the 2010 opens up nicely in the glass over time. 93+/Drinking window: 2013-2020. The 2009 Ronco della Chiesa stands out for its superb texture, length and balance. A creamy, expressive wine, the 2009 wraps around the palate with stunning depth. Still crystalline and pure, the 2009 remains translucent, bright and very young. White stone fruits, smoke, graphite and jasmine emerge over time, but ultimately the 2009 is first and foremost a wine of texture underpinned by saline minerality. This is a great showing from the 2009. 95/Drinking window: 2014-2021. The 2007 Ronco della Chiesa has reached an age where the aromas and flavors are beginning to show lovely tertiary complexity. Riesling-inflected notes of petrol and gunpowder lead to hints of nectarine, French oak, peach and ripe green pear, all supported by intense beams of salinity. Floral, perfumed and medium in body, the 2007 is a lovely wine to drink now and over the next few years, although I don't think there is much upside from further cellaring. 92/Drinking window: 2013-2017. Another gorgeous wine, 2001 Ronco della Chiesa has reached a beautiful plateau of maturity. Sage, rosemary, pine, flint and peach nuances all wrap around the palate as the wine opens up in the glass. Finely knit and textured throughout, the 2001 is another wine that impresses for its persistence and striking beauty. The French oak barrels are felt in the volume they impart. 93/Drinking window: 2013-2016. The estate's 1999 Ronco della Chiesa is now fully mature. Hazelnut, dried pear, spice and almond notes flesh out in a supple, inviting wine that stands out from the rest of the wines in this vertical for its almost unusual sense of openness and softness. Today, the 1999 comes across as a bit marked by oak, especially next to the other wines in this vertical. 90/Drinking window: 2013-2015. The 1996 Tocai Friulano Ronco della Chiesa is a revelation. Still bright, focused and beautifully articulate, the 1996 jumps from the glass with an exciting melange of petrol, lime, white pear and flowers. A vibrant, utterly impeccable wine, the 1996 is flat-out gorgeous. The only question is how long it will drink this well. I don't know the answer, but the 1996 doesn't appear to be going anywhere anytime soon. With time in the glass, the 1996 puts on weight, but it remains fresh, vibrant and beautifully articulated to the core. 94/Drinking window: 2013-2016. Tropical fruit notes, almonds, crushed flowers and spices all flesh out in the 1994 Tocai Friulano Ronco della Chiesa. The style is rich, soft and enveloping, none of which are qualities I tend to attribute to Ronco della Chiesa. According to proprietor Nicola Manferrari. Readers who still own the 1994 will want to drink any remaining bottles sooner rather than later. 88/Drinking window: 2013. One of the highlights of this tasting, the 1993 Tocai Friulano Ronco della Chiesa is a real turn on. Smoke, graphite, white peaches and jasmine grace the palate as this exquisite wine opens up in the glass. Stylistically, the 1993 is similar to the 1996, but with a little more fat and texture. An extraordinary, kaleidoscopic finish rounds things out in style. Amazingly, with time in the glass, the 1993 becomes even more vibrant. This is one of the highlights of the morning. 95/Drinking window: 2013-2018. The 1988 Tocai Friulano Ronco della Chiesa is another wine that has aged exceptionally well. It doesn't have the energy or pure pedigree of either the 1993 or the 1996, but it retains gorgeous freshness and liveliness. Dried pear, smoke and anise wrap around the caressing, inviting finish. 91/Drinking window: 2013-2015. 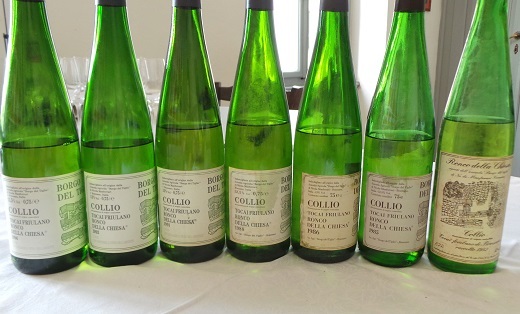 All of the hallmark of this site come through in the 1986 Tocai Friulano Ronco della Chiesa, a wine that retains gorgeous freshness and vibrancy. Mineral and smoke notes become more intense as the wine sits in the glass. The 1986 remains a large-scaled, broad Ronco della Chiesa with tons of fruit and more than enough underlying structure to drink well for at least another handful of years. 94/Drinking window: 2013-2016. Borgo del Tiglio's 1985 Tocai Friulano Ronco della Chiesa fleshes out beautifully in all dimensions, with expressive layers of fruit and delineated aromatics, all supported by soft, silky texture. Dried flowers, mint, spices and dried pears linger on the soft, gentle finish. The 1985 has reached its plateau of maturity. Any remaining bottles need to be enjoyed soon. 89/Drinking window: 2013. A fitting end to this tasting, the 1982 Tocai Friulano Ronco della Chiesa, here in its first vintage, is flat-out stunning. What a wine! Smoke, graphite, petrol, stone fruits and white truffle are some of the many notes that jump from the glass. Quite simply, the 1982 could be served next to the great wines of the world and it would more than hold its own. I doubt I will ever taste the 1982 again, but once is enough. This is a stunning wine from Nicola Manferrari and Borgo del Tiglio, and one I will never forget. 95/Drinking window: 2013-2016. The 2011 Studio di Bianco is drop-dead gorgeous. White flowers, mint, peaches and apricots all flesh out in a wine endowed with stunning purity and finesse. Aromatic and intensely perfumed, the 2011 is firing on all cylinders today. French oak adds shape and volume, but without overwhelming regional or varietal characteristics. Readers who can find the 2011 are in for a real treat. It is a stunner. 94/Drinking window: 2015-2026. Weightless, crystalline and pure, the 2010 Studio di Bianco appears to float on the palate. White pear, crushed rocks, oyster shells and lime jump from the glass. A beautifully delineated, vibrant wine, the 2010 captures the best qualities of the year. Stylistically, the 2010 is brighter and more focused than the 2011, with a bit less body but more sheer drive and personality. What a gorgeous wine this is. 95/Drinking window: 2014-2025. The 2009 Studio di Bianco brings together all of the best attributes of the house style. At once rich because of the year, but also intensely mineral, the 2009 delivers stunning palate presence and harmony. Some of the overt floral notes typical of young Studio di Bianco have begun to soften as the fruit and acidity meld together. The 2009 is a great choice for drinking now and over the next decade. Simply put, it is a stunner! 95/Drinking window: 2013-2021. Petrol, crushed rocks, smoke, anise and succulent yellow peaches wrap around the palate in the 2008 Studio di Bianco. Today, the 2008 is in an in-between stage where the flavors are no longer primary nor are they fully tertiary. Readers who appreciate more complexity will want to cellar the 2008 for another few years. This is one of the softer, rounder versions of the Studio di Bianco. 93/Drinking window: 2013-2018. The 2007 Studio di Bianco is one of the more forward wines in this range. Here the oak is also more noticeable. Dried pear, apricot, spice and crushed flowers meld together in a soft, succulent Studio di Bianco with plenty of near-term appeal. My preference would be to drink the 2007 sooner rather than later, as the French oak will become more prominent as the wine ages. The 2007 is one of the riper, more voluptuous wines in this vertical. 89/Drinking window: 2013-2017. Borgo del Tiglio's 2006 Studio di Bianco is another beautifully precise, crystalline wine built on a core of pure energy. Medium in body, the 2006 is bright, focused and articulate from the very first taste. Pears, white flowers, almonds and smoke all flow through to the intense, palate staining finish. I would prefer to give the 2006 another few years in bottle to fully mature, as today it isn’t fully expressive. 93+/Drinking window: 2016-2021. Honey, almonds, smoke and nectarine flesh out in the glass as the 2005 Studio di Bianco shows off its flashy, racy personality. The French oak is evident in the 2005, but also impeccably balanced. Still, this is one of the richer and more overt wines in the vertical. The 2005 will appeal most to readers who appreciate richer, lusher whites. Today, the 2005 is firing on all cylinders. 93/Drinking window: 2013-2020. The 2004 Studio di Bianco is dominated by oak, which is a shame, as the purity of the fruit appears to have been quite striking. Still quite rich and full in body, the 2004 will continue to drink well for at least several years. As good as the 2004 is, it probably could have been meaningfully better with less oak. 88/Drinking window: 2013-2017. The 2001 Studio di Bianco brings together all the best elements of the Borgo del Tiglio house style, even if the French oak is still quite evident. Smoke, apricot, nectarine and white peach notes flesh out in a rich, broad-scaled wine loaded with class and pedigree. The 2001 is the product on an era when French oak was more in fashion than it is today. On its own, the 2001 is a beautiful wine, but it suffers a bit in comparison to today's releases. 90/Drinking window: 2013-2016. Apricot, nectarine, orange blossoms, mint and smoke all flesh out as the 1999 Studio di Bianco shows off its pedigree and class. This is another of the more powerful, voluptuous wines in the tasting. Hints of vanilla, butter and pastry wrap around the intense, resonant finish. The French oak is present, but also nicely integrated. All of the elements meld together beautifully in a Studio di Bianco to drink now and over the next 7-10 years. 93/Drinking window: 2013-2021. The 1998 Studio di Bianco is all about balance and polish. Nothing in particular stands out; rather it is the wine's textural harmony and sense of proportion that impress most. Honey, almonds, nectarine and succulent yellow peaches flesh out on the resonant, inviting finish. 92/Drinking window: 2013-2018. A rich, broad-shouldered wine, the 1996 Studio di Bianco fills out beautifully with time in the glass. Hazelnut, almond and spice notes lead to orange peel, anise and nectarine. This is one of the bigger, more powerful wines in this tasting. Mint, dried flowers and spices wrap around the voluptuous finish. The 1996 is the first modern Studio di Bianco as it is today, whereas previous vintages were truly experiments from year to year. 93/Drinking window: 2013-2021. The 1993 Studio di Bianco is now fully mature. At twenty years of age, the 1993 still has excellent color and plenty of fruit, but the aromas are fully developed. Although still in good shape, the 1993 is past its best days. 88/Drinking window: 2013-2018.